Odor Management LP | Hawk Research Laboratories, LLC. 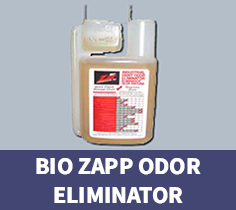 Bio Zapp is designed to chemically neutralize paint odors. Since Bio Zapp uses oxygen as a catalyst, the neutralizing effect is most pronounced when the paint is atomized by a spray gun and then exposed to the surrounding air. During the spraying process, Bio Zapp molecules attach themselves to the solvent and paint molecules, encapsulating them and causing them to fall away undetected. Bio Zapp evaporates with the paint film as the paint dries, taking paint related odors with it. Used at recommended levels, Bio Zapp has almost no impact on the coating system other than a slight increase in dry-to-touch times. Bio Zapp will not impact paint adhesion, pencil hardness or overall coating performance. 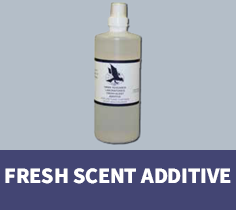 Fresh Scent additive is a concentrated formula used to mask chemical odor and is compatible with all Hawk Research Laboratories’ coating systems. During the spraying process, Fresh Scent additive modifies and masks refinishing odors. While the coatings cure, Fresh Scent additive continues to work, emitting the pleasant odor until the coatings have fully cured. Fresh Scent additive is not a replacement for responsible air handling and ventilation while refinishing.